Ladoke Akintola University of Technology, LAUTECH Admission List (FIRST, SECOND, THIRD and FOURTH Batch) for the 2018/2019 academic session has been released and published on the college’s official portal. All the aspirants can now check their admission status. 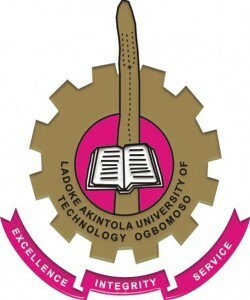 THIS is to inform the members of the general public and most especially all the candidates who chose Ladoke Akintola University of Technology as their choice in the 2018 UTME and participated in the LAUTECH admission screening exercise that the school has released the names of admitted candidates for the 2018/2019 academic session. Click on ‘Check’ to access your admission status. Click Here to download Lautech third batch list. Candidates who have been offered provisional admission into the institution during the 2018/2019 admission exercise are hereby inform that admission letters of successful candidates have been released. Also, LAUTECH Biometric Data Capture for Newly admitted students has commenced. All the newly admitted students should visit the school portal www.portal.lautech.edu.ng/fresher to create their profiles and print their admission letters. Note: Those who are admitted into programmes other than the ones they applied for are to pay Change of Course fee of Two thousand, five hundred naira (N2,500.00) only, for them to be able to print their admission letters. For full details on LAUTECH Acceptance fees and Registration procedure – CLICK HERE. The Lautech Admission List has been uploaded on the Joint Admission and Matriculation Board, JAMB Website for checking. As at the time of writing this report, the list of admitted candidates has not been uploaded on the official portal of the institution, but candidates can access their admission status on Jamb website here. Click Here to Accept/Declined your admission on Jamb Cap portal. And pls can I change from physiology to medicine in 200lvl? And pls can i change from physiology to medicine 200lvl? Please,I really need a reply.